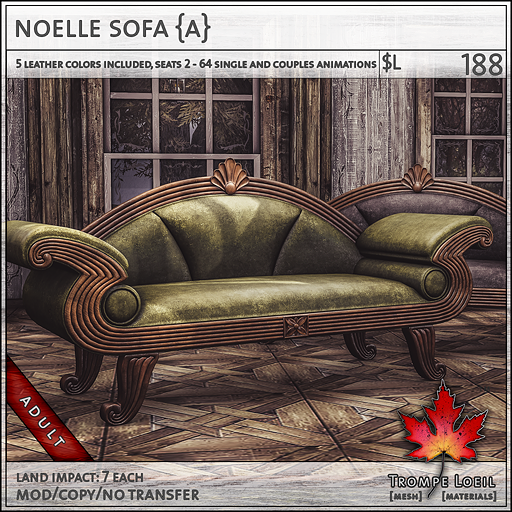 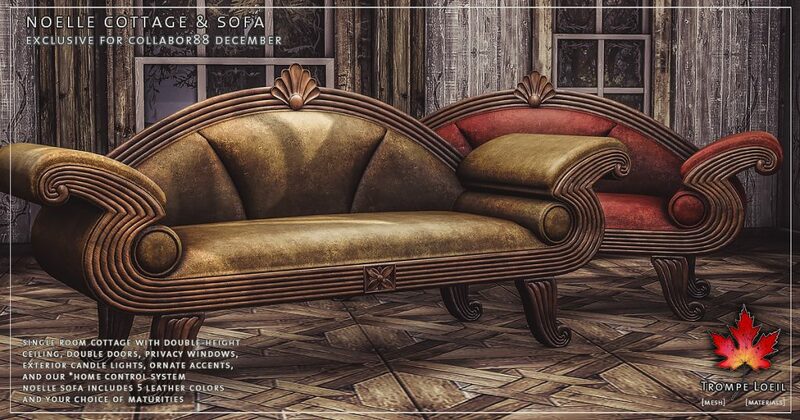 The winter season is the best time to get a little fancier, a little more vintage, a little richer in taste – transport yourself to a more classic time with our Noelle Cottage and Noelle Sofa, only at Collabor88 December! 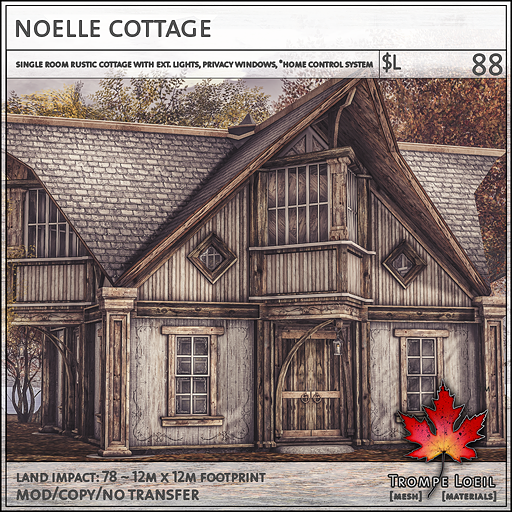 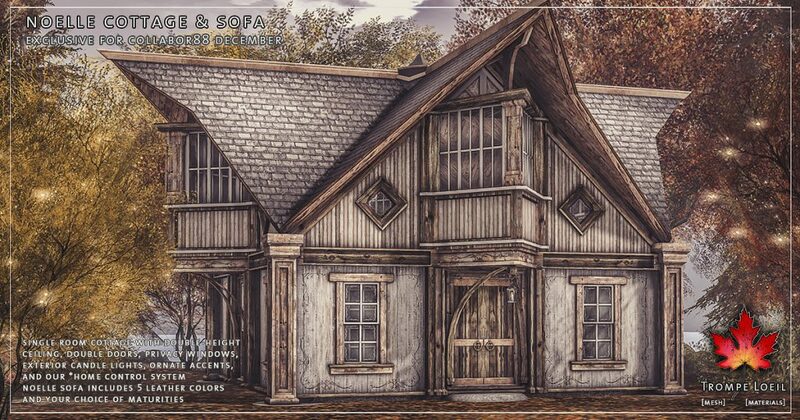 The Noelle Cottage is a single room, double height structure with ornate detailing, locking double doors, privacy windows, exterior candlelit lanterns, and our *home control system. 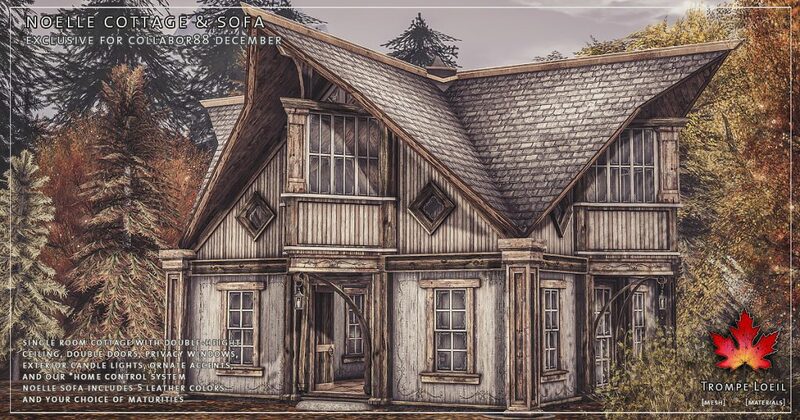 Grab the Snow Add-On while you’re there! Plus, our Noelle Sofa evokes turn-of-the-century upper crust style in a well-worn vintage finish, with 5 leather colors on touch and your choice of maturities. 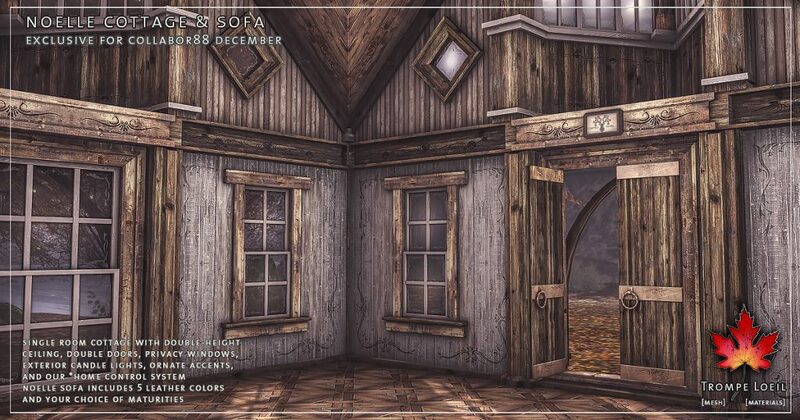 Only at December’s Collabor88 round!